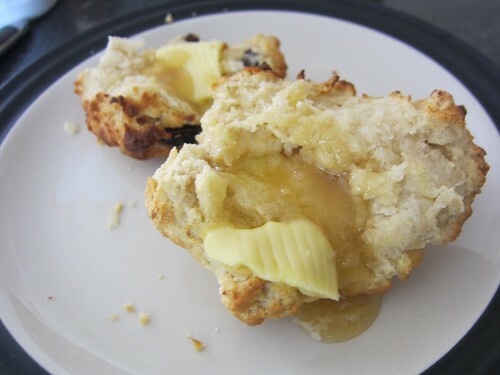 Wendy's Blog » Blog Archive » Scone! I made some scone this week and they were mighty delicious! It’s a lot easier than I thought it would be too! I had to guestimate on the butter because butter here doesn’t come in measurement blocks. More butter = More better right?! One weird thing about scones making is that it doesn’t involve eggs! I had to read it twice to make sure I read it right. No eggs! I was sad because I bought eggs thinking I needed them. But it’s all right I love eggs! 3 cups self raising flour; 60g butter; 1 cup of milk. Sift flour into a bowl, rub in butter, add nearly all of the milk at once and mix in quickly with a knife. Add remaining milk if nescessary to mix to a soft dough. Turn onto a floured board and knead by pressing with heel of hand 3 or 4 times. Pat out to a round,2cm thick and cut out into 4cm rounds with a floured cutter. 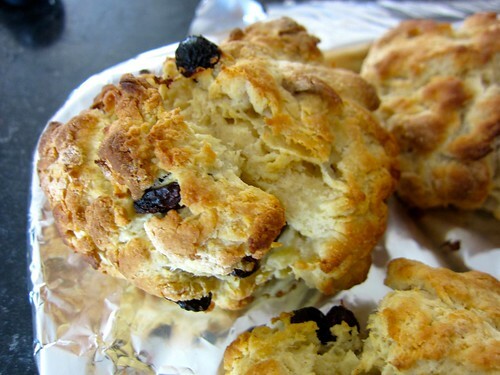 Place scones close together on a lightly greased baking tray. Brush tops with a little milk and bake in a preheated very hot oven 230C for10 – 15 min or until well risen and golden. 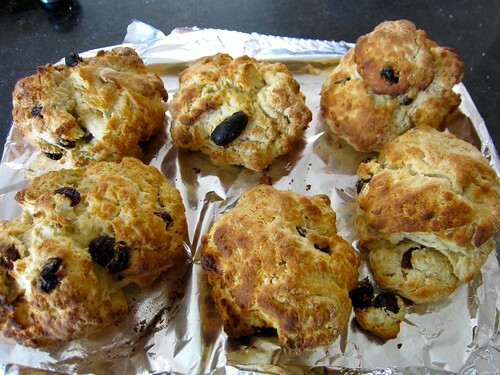 For soft scones wrap in a tea- towel as soon as they come from the oven, for crusty scones cool on a wire rack. And always for serving, no matter how thick the cream says it is on the container, whip it until you can cut it! I added raisins I found in the cupboard. Extreme close up of the scone ready to be eaten! Ready to eat with butter (of course) and bit of honey. 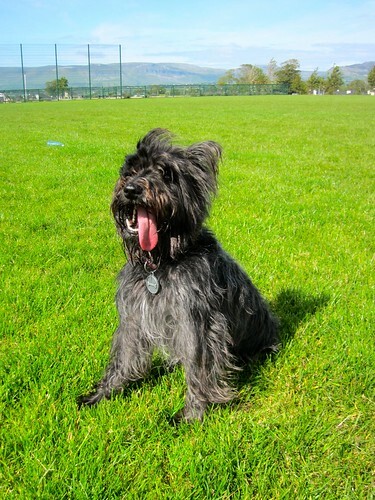 Not scone related, but it’s cute anyways!